Evening folks…yesterday I received a call from a friend here in Lunenburg stating she was watching a 'white' chipmunk in her yard. She had viewed it a few times last year and once this spring. I headed on over to see if I could get lucky and photograph this rare little guy. This chipmunk falls into a class known leucism. This group generally has some of the normal coloration of the species and have normal eye color and not red as with a true albino. 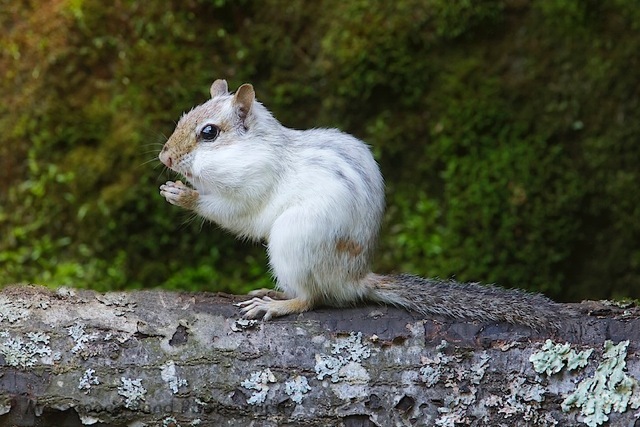 So what we have is an Leucistic Chipmunk….